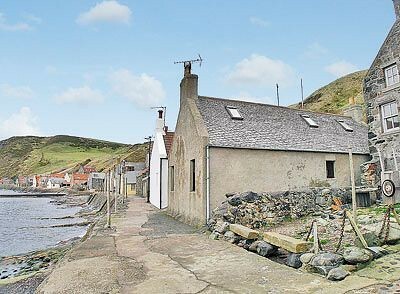 This coastal fisherman’s cottage is an ideal for that relaxing break by the sea.. 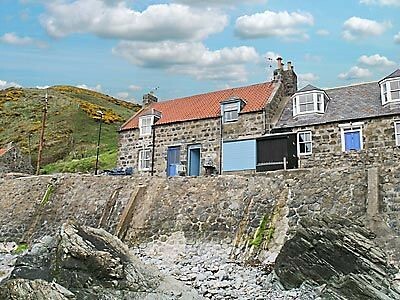 This holiday property is a delightful fisherman’s cottage, set in a wonderful location just 60 yards up steps from the sea. 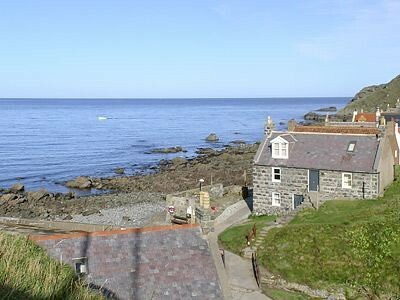 Tastefully modernised with paved patio, ideal for BBQs, in a charming scenic village with harbour and sandy beach, it is ideal for sea and river fishing, walking, golf, shooting, bird watching and observing dolphins and seals. Easy driving distance to follow the Whisky and Castle Trails. 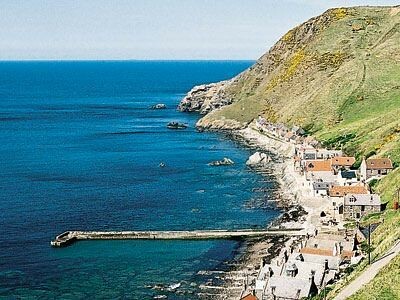 Visit Duff House with exhibitions, tea rooms and gardens in Banff. Shop, pub and restaurant 200 yards.. Ground floor: Living room with sofa bed. Kitchen. First floor: 2 bedrooms: 1 double, 1 twin with wooden floor. Shower room and toilet. Solid fuel central heating, electricity, bed linen and towels included. Public car park, 150 yards. 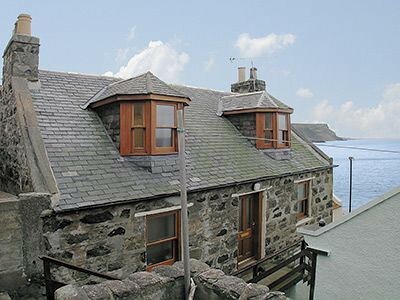 1st comment: Fantastic cottage in a beautiful location. Spectacular. Very clean, very well decorated, everything you could need. Feb 2012. 2nd comment: Very clean, comfortable,just like home from home loved the cottage will be back next year. Nov 2011. 3rd comment: Lovely cottage with lots of nice touches. Particularly enjoyed the multi fuel stove and candle holders and candles provided. Watched gannets diving and much more from the seafront everyday. Perfect location for birdwatchers. Really friendly and helpful pub ask where to buy fish and seafood. Only hiccup couldn’t understand how to work the electric heater in the kitchen though and no instructions. Sept 2011.